Sometimes when someone you loved, who used to make you happy is gone forever, your heart craves to bring back those precious feelings that can only be rekindled if the loved one could come alive somehow. Not that truly coming to terms with reality and undermining your wish eradicates your pain of missing that someone in your life, but it will, by all means, appease your pain and turn it into something endurable. One might imply from the mere name of the movie that it has a lot to do with animals. However, this movie is much more than that - it portrays a touching story of how a small family yearns to bring those happy days back, when their loved one was there with them. The events, scenes and dialogues that follow in the course of their struggle to reignite happiness, is in many ways more than just simply sweet, heart-warming and emotionally moving. 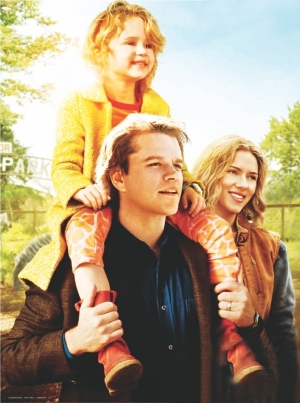 Plot- It's not that long ago that Benjamin (Matt Damon) lost the love of his life- leaving him with a cute, amiable young daughter and a morose boy in his teens. 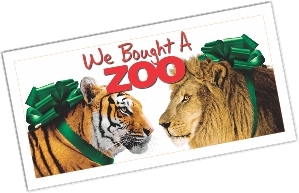 In a bid to find out if a change is what he and his family needs to redefine their purpose in life, Ben decides to buy an entire zoo that is on the verge of closing down. In the end, the family finds more than they were looking for - a way to make the memories of the lost one into something to smile with, while never replacing her in their hearts, but giving others a chance to enter their lives, and possibly letting them make a lasting impact. Who should watch it - For someone who wants to be emotionally moved by a movie, or inspired by every bit of dialogue and every scene, this movie is more than just a movie for him/her. Depicting the vagaries of a depressed teenager (Ben's son) as he accidentally finds love, this movie is also a must-watch for ones who are into romantic stories. Best parts- It's hard to concisely state a few best parts when the entire movie is remarkably one of the best. The simplicity and the serenity that so abundantly reside in the suburbs of America are almost perfectly depicted in this movie. Be it with the shy, whimsical young teen named Lily (Elle Fanning), or the cute, smiling kid named Rosie (Maggie Elizabeth Jones), the movie is, straightly put, sweet and lovely. It's not simply because Scarlett Johansson or Matt Damon stars in the same movie; and it's not only because it is proclaimed as a true story by its director - it's because these movies are so esoterically made these days, that people like me have very little to resort to among all the action and blatantly meaningless, morale-less movies made these days, that I personally love We Bought A Zoo. Hence, all I can say to the reader is—give this movie a try and you might just like it as much as I did. People who like this movie, might also like- A Walk to Remember, Fierce People, Monalisa Smile, Super 8. 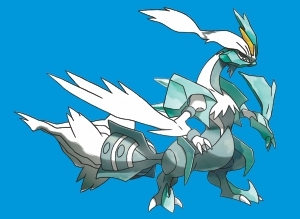 All of us olden day Pokémon fans would unanimously agree that the series should have stopped after Diamond and Pearl- that Game Freak has been overdoing things with its weird new generation creatures. I mean, when you have to catch and train foetuses and rubbish bags, you know things have gone a little too far. But Black and White 2 should serve to change your mind. Because even though the gameplay and the old gym badges formula hasn't changed much, the sequel has a striking amount of fresh content that makes it actually playable. Set two years after Black and White, you start off in a renovated Unova region as a hatchling Pokémon trainer ready to take on the world and save it (yet again) from a new evil plan devised by Team Plasma. This time around, other than new pokémon, new gyms and new areas, we have, thank the heavens, the return of previous generation pokémon letting us move back to the likes of Growlithe and Flaffy from the abysmal depths of Sawk and Throh (yes, Sock and Throw). There are in-game achievements now, called medals- a much overdue and welcome addition. And if you have a 3DS, you will be awed by how big the world of Pokémon has gotten, because through wi-fi features like the Global Trade Service, Join Avenue and Xtranceiver, you can trade, battle, hang out, shop and even video-chat with all your friends and fellow trainers. Completing the Pokedex with all of these and the new Habitat Function (allows tracking of Pokémon encountered and caught in each location) is that much more fun. But the best part is probably the post-game content, where you have the Pokémon World Tournament, which brings back the gym leaders and champions from the last four generations into one huge tournament. For those who have been playing since the beginning, prepare for lots of nostalgia in trying to beat the most iconic characters from the franchise's history. 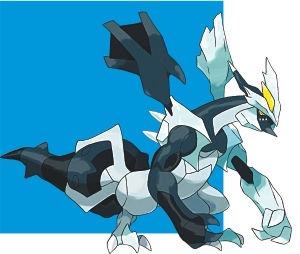 All in all, Black and White 2 has been the most refreshing and fun game since Ruby and Sapphire. Just goes to show how a franchise can become both awesome and crappy simultaneously in two different ways. If only the Generation V Pokémon weren't so bad, this would definitely be the best Pokémon rpg you've ever played. It's quite a dilemma when you are presented with the choice of picking between two things you love. Sometimes you might give in to the cajoling and the snarky retorts succeeding them and end up having to spend hours making up. But most of the time there exists an implicit understanding between the two of you and every time you grimly say 'It's time', the lines of communications cease and for that bit of time, nothing else matters. Only football. 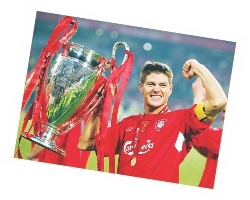 Time changes everything and even burning love might fade away one day into insignificance but the timeless feeling of bliss when a kick of the ball brings smiles to a million faces, when wars are halted so that a match can be played out, when Anfield stands as one in memory of the 96 never goes away. They say the love's gone from football. But if you look really closely, it's still there, camouflaged under all the greenbacks. And it does show its elusive face sometimes. It shows up every time Paul Scholes takes to the field, it shows up when you watch replays of that fateful final in Munich or in Istanbul, and it showed up every time Del Piero kissed the Juve badge in delight as the world unites as one to scream in joy or groan in despair. From Manchester to Rio to Berlin to Dhaka. And it's football that connects the world like nothing else. Valentine's Day is a day of love, of generosity and kindness. And what better way to show love than to come together as one and tune in to the beautiful game? So get your gears out, slam on your jersey, take to the streets or even switch on your television and celebrate. Celebrate being part of world's biggest community; one that keeps on growing. A connection that causes us to lunge into two-footed tackles during the game and scream at the opponent, only to swap shirts at the end as friendship reigned. So this Valentine's Day, celebrate love and celebrate football. And hope for a cracking game at Bernabeu. Roses, chocolates, cards and what not. 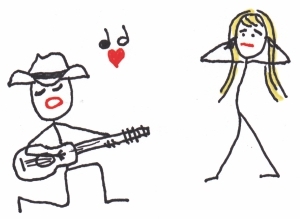 With all that, music is essential to your perfect or not-so-perfect Valentine's Day date. Do not fear, RS is here, do not shed a tear, my dear. That is how you should ask out your date. It works. Moving on, the music to play on Valentine's Day. During the car ride to your surprise date destination, obviously a certain restaurant, you should play Taylor Swift's “Our Song” since it has the word 'car' somewhere in the middle of all the sappy I-need-a-boyfriend lyrics. You could alternate the song with Rebecca Black's “Friday” so that your date gets mindfudged about which seat to take. When you enter the 'surprise destination', be sure to bribe the people there to play “Eye of The Tiger” on your entrance. Nothing beats that intro, nothing. Your date is already drooling over you. Now, to melt her heart, the background music to your appetizer should be One Direction or Lifehouse, start subtle. Gradually, play something overly expressive such as “I'll Never Break Your Heart” by Backstreet Boys. Give your date promises that you will never keep. This is what you are supposed to do on Valentine's Day. During the main course, do NOT forget Nickelback. Just don't, ok? If a beautiful 'other person' passes by, start singing Sir-Mix-a-Lot's “Baby got back” in your loudest voice, if your brain ever allows you the misfortune of remembering the song. Do it anyways because this may result in certain slaps and food fights and a volcanic eruption of green lava. We cannot guarantee the level of entertainment you may get from this; it usually depends on how badly you sing it. To make it up to your date, ask him/her to dance with you to Pitbull. Dancing to Pitbull just wins it, I tell you. After all this, when your date is cursing every decision he/she ever made and planning your death with every cell in his/her brain, do be so kind to let them walk away from you. While at it, if you are a girl, play “Hot Problems”; if anything other than a girl, “Dhaka'r chele”. And thus, RS saves your day and your wallet for the rest of the year. If you are on special dates with 'special' people, though, the following are recommended instead. –Muse. For pretty obvious reasons. “Yellow” by Coldplay. Because, Pohela Falgun.